Thursday festival evenings with special guests The Bad Boys from the legendary Loveboat Big Band. 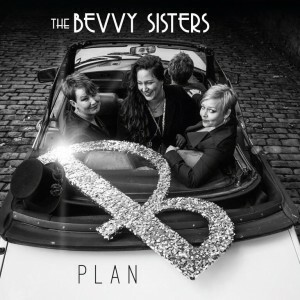 Nobody knows Edinburgh Fringe better than The Bevvy Sisters and The Bad Boys, and no one is so renowned for creating a feel-good atmosphere and an uplifting time. A fabulous festival evening of classy songs, witty sass, and Bevvytastic boogie tunes. ★★★★ Scotsman, Scotland on Sunday. BBC’s Best of Fest 2014.